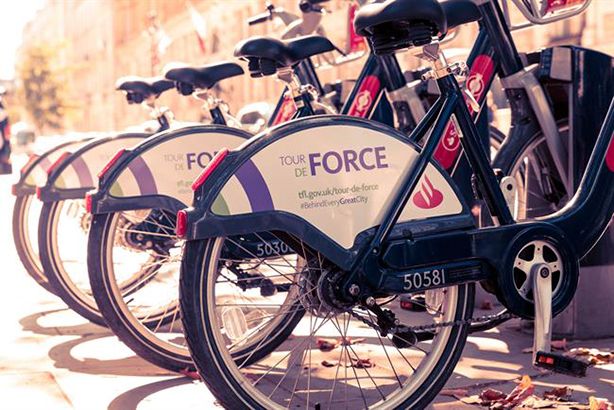 Santander and Transport for London are creating cycling guided tours to mark 100 years since women won the right to vote in the UK. The "Tour de Force" experience will cover the new statue of suffragist Millicent Fawcett, the first female statue in Parliament Square, the memorial for World War 2 undercover operative Violette Szabo, and buildings designed by female architects such as Zaha Hadid’s Serpentine Sackler Gallery. The tour will include commentary about the women whose achievements have helped to shape the city. Visitors will use Santander bikes, which have been branded with the suffragette movement’s colours purple, white and green. The experience is running on 26 August, 2 and 9 September. Santander is using the campaign, devised by agency Cow PR, to encourage women to take up senior leadership roles in the finance sector. Susan Allen, head of customer interactions at Santander, said: "London is a city rightly famed for its fascinating history and rich culture, but many of the women who played a central role in shaping it are not as well-known as they should be. "We wanted to shine a light on some of the women whose amazing achievements have helped to shape our society and blazed a trail for gender equality."